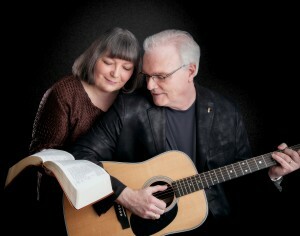 After singing together occasionally, Penny and Paul Ferguson chose the name, “Through His Grace,” for their music ministry in 2002. They feel the name is appropriate because only through His grace are the talents, time and provisions made for this ministry. Through His Grace sings at concerts, churches, gospel coffee houses, festivals, nursing homes, etc. They have released six CDs, five of which have been nominated by the Music Industry Association of Nova Scotia for Inspirational Artist/Recording of the Year, the most recent being in 2013. They were also nominated by the Maritime Gospel Music Association for Duo for the year 2013, 2015 & 2016. Penny also received a MGMA nomination for Song Writer of the Year in 2016. Through His Grace served as associate ministers in music at Debert Baptist Church in Debert, NS from January, 2013 to September 2016. They began as part-time Directors of Music at Nuttby Baptist Church in November, 2016. Paul Ferguson has been singing the gospel with groups of various sizes since he was saved in 1973. He was lead singer for The Lamb’s Men of Truro, Nova Scotia. Paul has also been a soloist for more than four decades throughout the Maritime Provinces of Canada. He works full-time in the health care sector and occasionally preaches. He served as pulpit supply at Debert Baptist Church, Debert, NS 2014-3016. 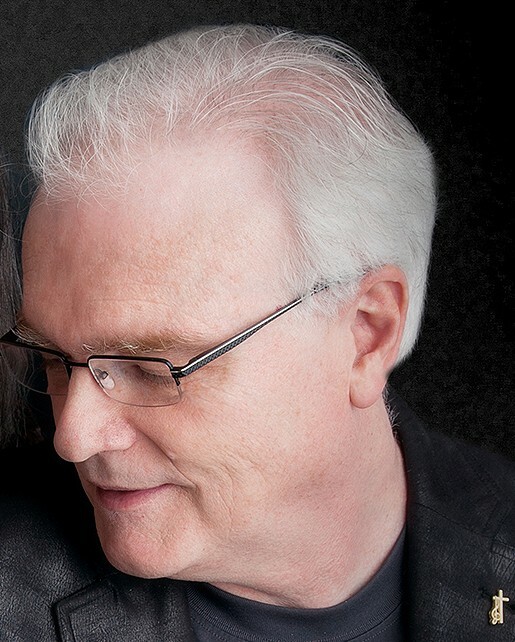 He has been married to Penny since 1980 and is a graduate of both Atlantic Baptist College and Acadia University. Penny Ferguson accepted the Lord as her Savior in 1978. She gave up a teaching career to become a stay-at-home mother in 1985 when her and Paul’s son, Joel, was born. At that time she began to work more seriously at her writing. She has written numerous published short stories, poems and articles. Penny has filled various positions within local churches and has taught Ladies’ Bible Study groups for more than a decade. In 1998, she began to write the occasional gospel song. In 2002, she felt the Lord’s call upon her life to begin spending more time writing gospel songs. In her songs, she seeks to present the gospel message clearly to draw those who have never made a decision for Christ to Him, and to encourage Christians to live holy lives of obedience to the Lord without compromise to the world. After writing lyrics, Penny sometimes comes up with melody lines and then is assisted by Paul to set the work to music on the guitar. Sometimes Paul develops the melody with some tweaking by Penny. It is a truly collaborative effort. A Christmas cantata (“Follow the Star to Calvary”), for which Penny wrote the lyrics and script and Paul and Penny developed the music, is in development. I have known Penny and Paul since the mid 1990’s and have been blessed and challenged by their passion for serving God and sharing the Gospel. As the pastor of a small rural church, they have been a blessing as they help lead worship in the Sunday morning service. Their involvement in Coffee houses and concert has touched the hearts of many. Their original music is refreshing and encouraging to all who listen. God has blessed them with a wonderful gift. Their unique gospel sound elevates the message of Jesus and warms the heart of seekers who search for meaningful life in Christ. Through His Grace has ministered to our church by their music for the past several years. They are faithful in singing at our coffee houses and at several special services. Their music honors the Lord and is faithful to the Word of God. I would highly recommend them to minister at your church or concert. In the time I have known Paul and Penny Ferguson, I have witnessed a real passion within them. They are passionate about the Lord they serve. That passion naturally pours over into their songs, both in lyrics and song delivery. These people believe wholeheartedly in the God they sing about and sing for. It is their passion that draws people in. I played “Let the Rafters Ring”…and was blessed to hear the music which expressed the depths of your souls. Thanks for all the work you have put into it. I know that God will continue to bless you and others through this important avenue of expression. 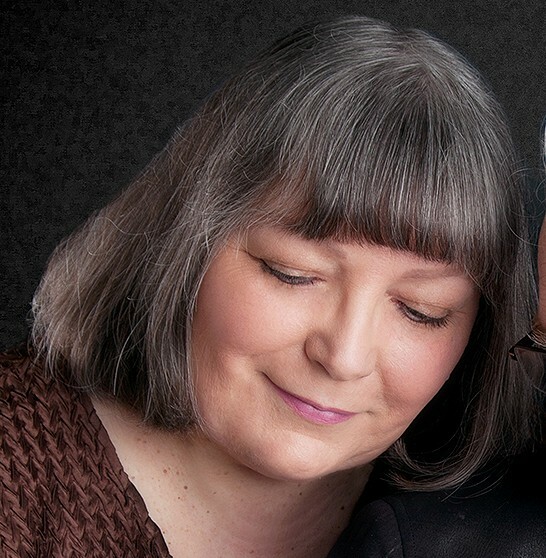 I believe God has richly blessed both Penny and Paul Ferguson in a very special way. I thank them for being in our midst and touching our hearts through the gift of music that God has bestowed upon them both. I believe they ought to be supported and encouraged to continue in this very important ministry as God‘s instruments of blessing and encouraging others in the way, the truth, and the life, in Jesus Christ. I would highly recommend both Paul and Penny for music ministry. They are highly talented, and have written and sung their songs with a heart for the message of the Lord. They show great integrity, which is evident in the music they write and present. I’m sure you would be blessed with their ministry in the songs they sing, and the message they give. I have known Penny and Paul Ferguson for a number of years and find them to be very honest, caring, compassionate Christians. Their music is very good with well‑written songs that have meaning. I have had them sing at the coffee house and the church. Everyone was blessed by it.